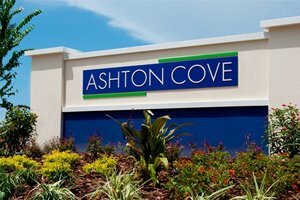 Ashton Cove is a small neighborhood of just 19 home sites in South County which had its grand opening in July 2017 and further enriched the stock of Sarasota homes for sale. Its developer is top U.S. builder D.R. Horton whose footprints have also been set in three other communities on or near Ashton Road in south Sarasota. Ashton Cove and all of its neighboring sister communities—Luna Bay, Ashton Pointe, and Ashton Manor—are located east of Honore Avenue between Clark and Proctor Roads. Another leading national builder, CalAtlantic, has established a presence in this area through its Ashton Palms project. Neal Signature Homes, a Florida regional builder based in Lakewood Ranch, has the new Provence neighborhood as its stake in this locality as well. The post-recession housing rebound also brought Sarasota-based U.S. Assets Group to this area through its Heritage Builders unit which is behind the development of the Ashton Oaks neighborhood just a block west of Ashton Cove. D.R. Horton is offering six single family home designs in Ashton Cove, with choices on either one- or two-story builds. Its one-story offerings feature floor areas of between 1,670 and 1,830 square feet with three to four bedrooms. The two-story choices have floor plans ranging from about 2,400 square feet up to 2,800 square feet and come in four- to five-bedroom layouts. Ashton Cove homes for sale start from the $300s, with select sites backing up to the community’s pond. All of the community’s residences exude appeal in their contemporary features and in the optimal livability of their open-concept floor plans. 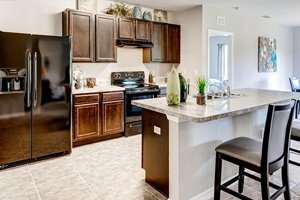 Besides spacious owner suites, these homes offer winsome living and dining areas plus a kitchen with a large island well-suited for bar-style meals and entertaining. In addition, stainless steel appliances are bundled with deals on Ashton Cove homes for sale. A lanai or patio and a two-car garage are likewise standard features of these residences. Like its neighboring sister D.R. Horton developments, maintenance of Ashton Cove homes’ lawns, as well as upkeep of common areas and landscaping, is covered by the community’s fees. Local residents likewise partake of many amenities around the Ashton Road area which cater to varied wants and needs. In addition to nearby top-rated schools, the local points of interest include the commercial hubs at the junction of Honore and Clark Road a short distance south of Ashton Cove. The establishments in this locality include not only retail chains like Walmart, Bealls and Publix. 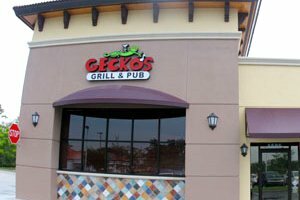 This area is also home to some popular restaurants, such as Gecko’s Grill and Café Barboso. A healthcare facility of Sarasota Memorial Hospital is in this locality too. The highway interchange of Interstate 75 a short distance east of Ashton Cove enables convenient access to still even more choices of shopping and dining in lifestyle hubs towards north. I-75 also serves as a vital link to career or job opportunities north, such as those in the vibrant Lakewood Ranch master development. Delightful recreational opportunities can likewise be enjoyed with a short trip westward via Clark Road which leads to Stickney Point Bridge. This span links the south Sarasota area to Siesta Key and the pristine white sand of its main beach, which definitely add to the marketability of Ashton Cove homes for sale. Below are the current real estate listings available at Ashton Cove.